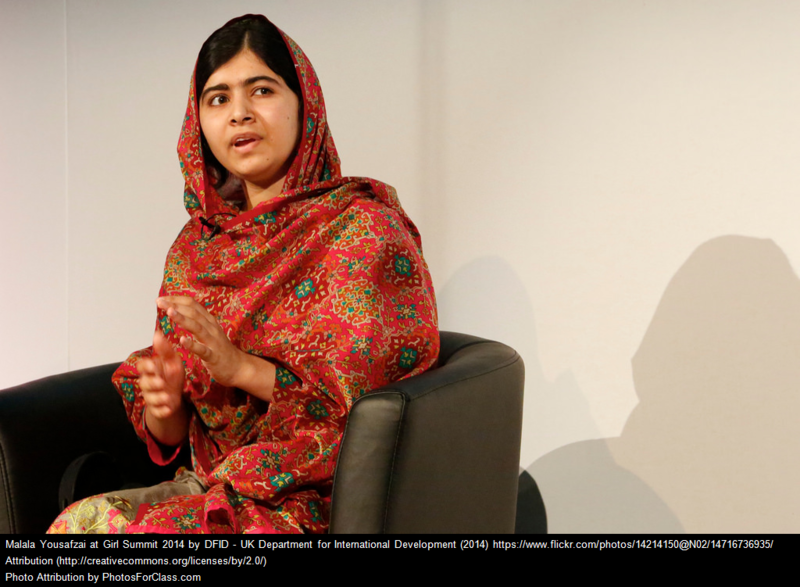 At age 15, Malala Yousafzai’s life was forever changed. Already an outspoken advocate demanding education for girls in Pakistan, she was targeted by the Taliban and shot in the head. She survived, and what she would do next showed just how strong she was even in the face of fear. In 2013—a year after the assassination attempt—she gave a speech to the United Nations, published her first book, I Am Malala, and established the Malala Fund, an international, non-profit organization that fights for girls’ education. In 2014, she became the youngest person to win the Nobel Peace Prize. In 2015, she opened a school for Syrian refugee girls in Lebanon with money from the Malala Fund. With the tagline, “Working for a world where all girls can learn and lead,” Malala has made it her personal mission to create a world where other girls can have the opportunity to lead as well. The trials of life—and need for resiliency—carry on as we age, as many leaders tell their stories of struggles. With rejections, hardships and other losses comes the choice to give up or bounce back. With stories like Malala’s, we’re reminded that it’s never too early or too late to lean on your resilience in tough times. In our fast-paced and rapidly changing business environment, companies need to display resilience. When we inevitably face a major obstacle, it’s our resilience that allows us to be stretched, bent and compressed, but still bounce back without being broken. This takes skill at both personal and organizational levels. But even before those skills, at the core of who we are as individuals and organizations has to be a strong sense of dedication to purpose. With heartfelt passion and belief in the vision and mission of the organization, resolve becomes easier to muster during the most difficult of times. When every member of the team is committed to the value their organization brings to the customer and world, the pain of the short term can collectively be endured and overcome. Finding opportunities in even the most horrific situations, as Malala did, sets us up for enduring growth. Employees and organizations that actively face and solve their problems instead of surrendering or complaining often become stronger and better as a result. Even in the bleakest situations, remind yourself of your vision, rededicate yourself to it and begin moving forward again. This is how we build resilience.